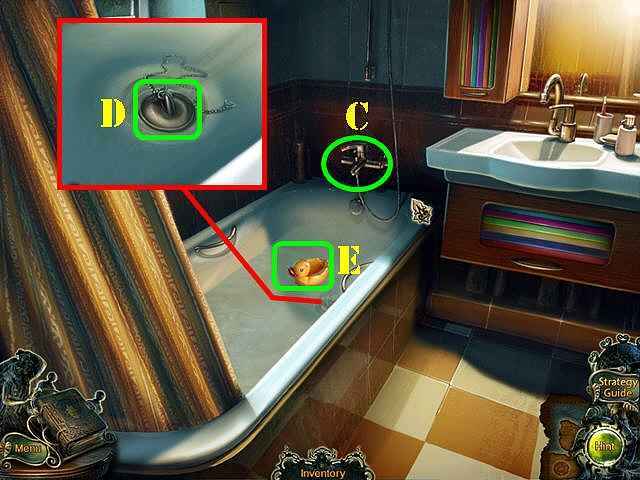 Zoom into the cabinet to activate a puzzle. Note: this puzzle will not activate unless youâ€™ve looked at the blinds in the Basement. Place your cursor over the stripes and then press on the arrows to swap the places of the stripes. 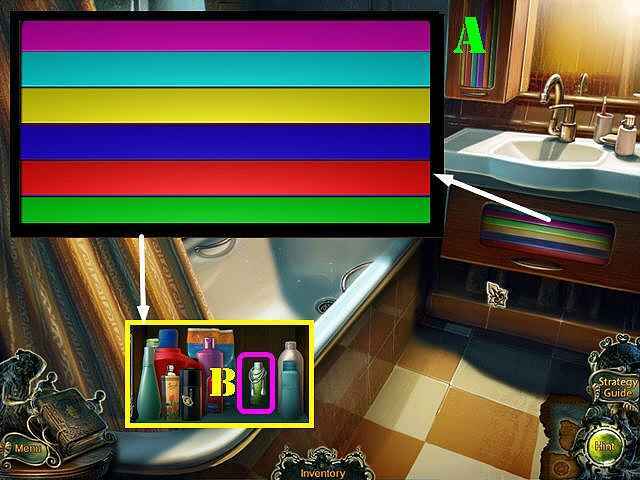 Please look at the screenshot for the solution: purple, light blue, yellow, blue, red, green (A). Move the bottles aside and take the BLINDS STRING (B). Turn on the water (C). Zoom into the tub and put the PLUG on it (D). Take the RUBBER DUCK (E). Return to the Road to the Guest House. Give the RUBBER DUCK to the dog (F). Go forward to the Garage Entrance. Take the RADIO PART (G). 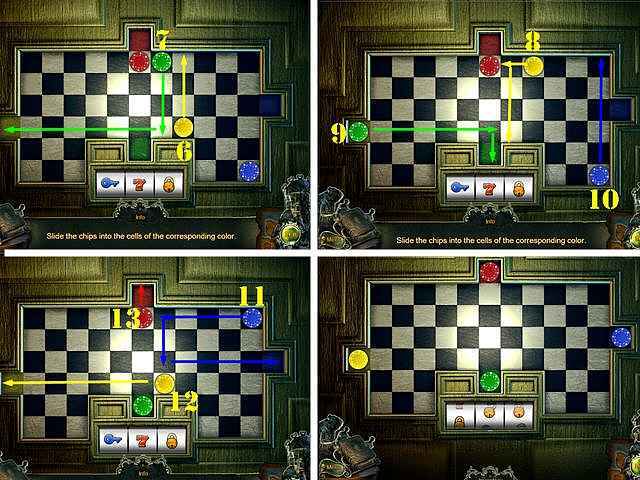 Zoom into the control panel (H) and place the RADIO PART on it to activate a puzzle.